Every week, The Lab Report will feature a different undergraduate research assistant on campus and their experience in the lab. 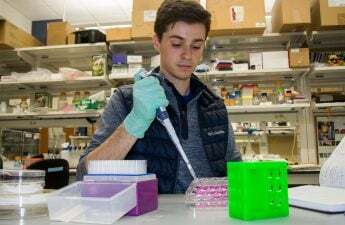 A University of Wisconsin biology student is looking into the fundamental signaling pathways that dictate function in the bacteria E. coli. 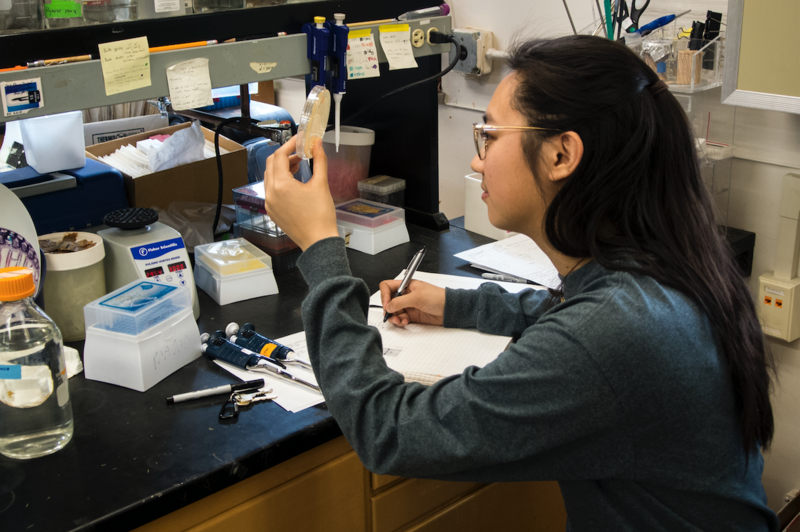 Senior Karen Wong is conducting her independent research project within the Gilroy Lab with her mentor graduate student Richard Hilleary. 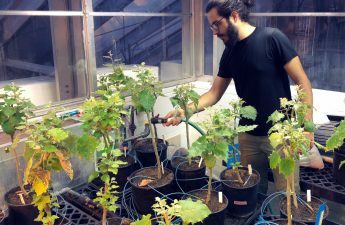 The Gilroy Lab is broadly interested in how the environment affects physiological processes in plants, with a particular interest in the signaling processes in the plant that mediate environment-dependent physiological changes. One way to activate signaling in plants is to infect them with pathogenic bacteria, Wong said. The Gilroy Lab is trying to understand the molecular components of plant immune systems and how they react to pathogenic bacteria. These signaling pathways have been heavily studied in plants and animals, but there is very little research looking at the signaling pathways in bacteria, Wong said. This is why her work began. Wong is focused on a subset of signals calcium mediates. Calcium is involved in many physiological and cellular processes. Her work uses GCaMP, a genetically encoded calcium indicator. These protein-based calcium sensors fluoresce in the presence of calcium and are used to measure the changes in calcium concentration occurring within the cell, Wong said. Wong is using this phenomenon to visualize and deduce whether calcium signaling plays a role in bacteria’s perception of chemicals in the environment. Wong grows the E. coli with GCaMP in an incubator for about one day and then views it under a special fluorescence microscope which can detect and image the level of light emitted from the cells. Wong first measures the baseline level of light emitted from the bacteria and then performs a treatment where she introduces a specific chemical to the bacteria. If the level of light emitted increases, calcium signaling is occurring within the bacteria, Wong added. Using this method, Wong has already successfully detected calcium signaling in response to various chemicals like sugars and amino acids bacteria use for growth and development. “Since there is so little known about this phenomenon in bacteria, almost anything we learn could provide fundamental insights into biological processes mediating environmental perception of bacteria,” Hilleary said. This project is basic research that is laying down the groundwork to understand bacteria better, Wong said. Bacteria is present everywhere and contribute to so many natural processes, so it’s important to understand it, Wong said. There are a lot of applications for the knowledge from this research once it’s understood exactly what is going on in the cell, Wong said. If people can understand how bacteria translate an environmental signal into a change in behavior, then it’s possible to apply this knowledge for biotechnological purposes such as disease treatment and prevention, Hilleary said. 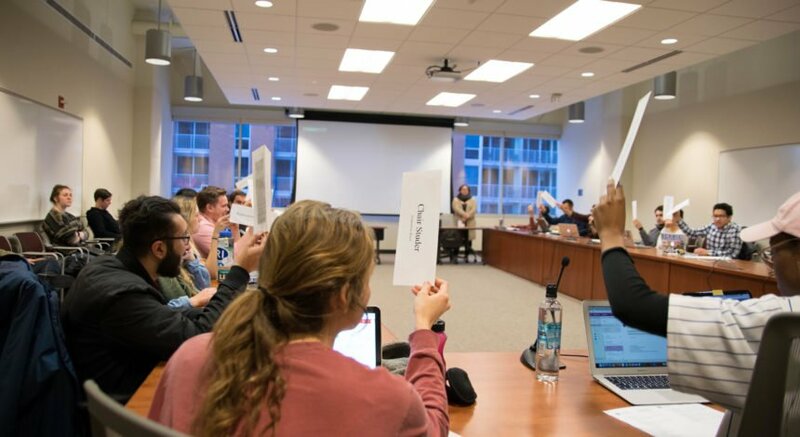 “These ideals are a long way away, but there is definitely the possibility that this research could have direct impact on our day to day lives,” Hilleary said. After demonstrating that calcium signaling is important in E. coli, the next step is to determine if there are similar phenomena in other bacteria, Wong said. There are several pathogenic and beneficial bacteria that would be interesting to investigate, Hilleary said. “We have the capability to visualize calcium signals in plants and bacteria simultaneously, so it would be especially interesting to do this while these bacteria are associated with the plant,” Hilleary said. Wong thinks this research has furthered her education. The hands-on work helped her understand things that were related to her research. It also gave her more confidence and showed her that she can use the same strategies researchers use in her textbooks. 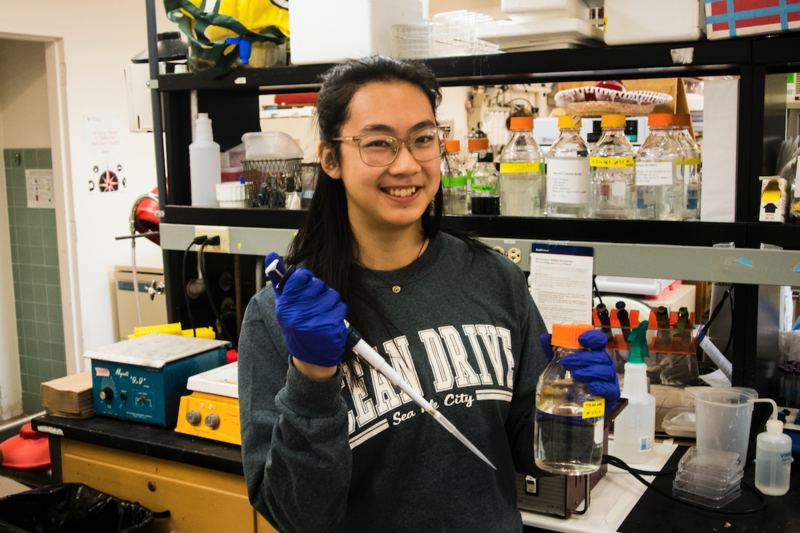 After she graduates in May, Wong doesn’t think laboratory research is in her future, but she does think it has contributed to her growth and development.